Kabali, the superstar starrer is fast gearing up to satisfy and entertain the numerous fans out there. The film, directed by Ranjith had most of its shoot canned in Malaysia. Looks like there is a Taiwanese villain in the film by the name of Winston Chao who has arrived in Chennai to dub his lines. This page hosts a weekly slideshow related to Tamil movies. Each slide includes a picture and some description about that picture. All the slides will have a recurring theme. People looking for actress stills, actress images, actor stills, actor images, movie stills, movie images, and other interesting topics, relevant issues in Tamil cinema will find this page useful. 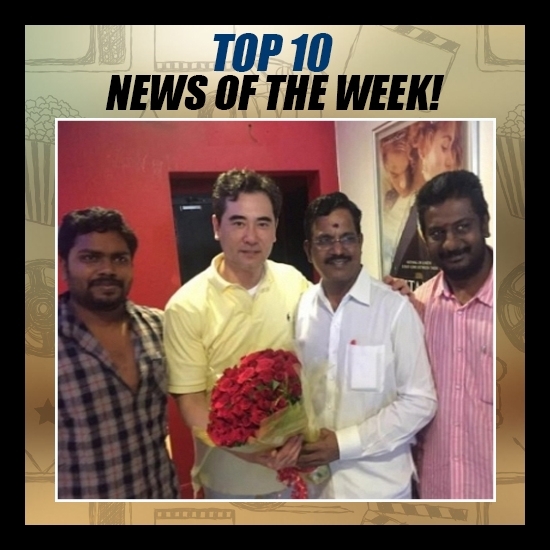 KABALI VILLAIN ARRIVES TO COMPLETE HIS JOB | TOP 10 NEWS OF THE WEEK (MAY 8 - MAY 14).